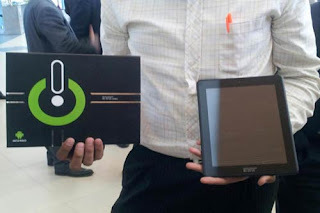 You might have read the news that the state-owned electronics firm Katron, has produced Egypt's first locally produced smart tablet, under the trademark 'Inar.' However, the debate now is whether the correct term is 'produced' or 'assembled'. There are two camps arguing now. On the one hand, there are those who find it a huge achievement and attacking local media for not shedding the light on such great news. While on the other hand, there are those who argue that it is just assembled from imported components, and it can hardly be called "an achievement". That's why I decided here to give my humble opinion about the issue. If the Egyptian company succeeded in producing a competitive product that it can use to go to the market and compete against other vendors, then I call this an achievement, even if none of the products' components is locally made. Whereas, on the other hand, if it is 100% locally-made, yet its producers cannot convince anyone to buy it, then I can hardly call this an achievement. The asian electronics firms are open market to everyone. Any company can go to that market and get off-the shelf components, whether they are processors, LCD screens or any other components. Android, Windows and Linux are also available for any manufacturer to use them if they want to. In such market, where you and your competitors have access to almost the same resources, your competitive advantages can come from your low price, better design, more advanced features, or even brand name. That's why, the question now, whether 'Inar' is an appealing products to tablet customers, from price or features or whatsoever point of view, or it is just assembled for the sake of assembling a local tablet in Egypt? If it is the formet, then let's hurray the Egyptian achievement, if now, let's question the government's unwise spending, since Katron is a state-owned firm.